There is a bit of ground on Eltham Common, a few metres down Well Hall Road from the former Police Station, at the junction with Shooters Hill which is always soggy. Older maps and the dependable Edith’s Street suggest that this area is the source of the Lower Kid Brook; so it seems likely that this is the beginning of the Brook. Finding water at the source of one of the Brooks is a step up from the similar journeys down both the Mid Kid Brook and Upper Kid Brook. There is a manhole cover just below the ‘spring’, oddly I failed to carry any tools with me that would have allowed a quick look inside, but it may be the current means of getting the nascent Brook across Well Hall Road. 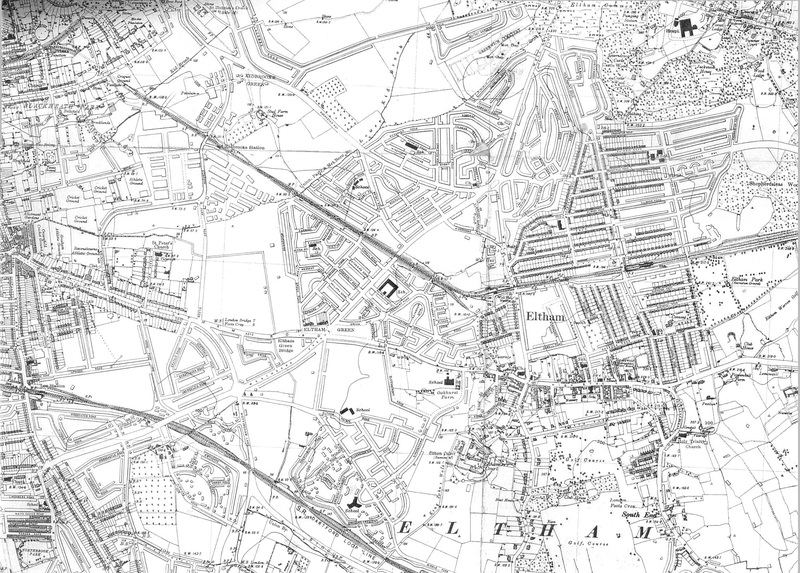 There is an interesting post on the springs and geology of the area in e Shooters Hill which suggests that in the past there was an arched bridge taking the Brook under Well Hall Road. The course then is through the rear of the relatively quickly dropping grounds of the former Royal Herbert Hospital, built in 1865 for treating Crimean War soldiers. Before following the Brook any further, it is worth doing a minor detour; there is another short stretch of water just outside the eastern edge of Greenwich Cemetery which has been suggested might be the source. It certainly isn’t the original main course, as it doesn’t coincide with old boundaries which are clearly marked on historic Ordnance Survey maps; but it does beg the question as to where does it come from. The water could be the continuation of the flow marked clearly on the current OS 1:25,000 map (although not on the ground) starting further up Shooters Hill, close to Sevendroog Castle, from a hidden reservoir. That flow goes down the hill to Well Hall Water Booster Station, on the edge of Eltham Common. What is more likely though is that it is a secondary source, probably originating further up the hill. Whatever it is, gravity would suggest a confluence with the Brook on Broad Walk (at the back of the photo); the Brook’s emergence from the Royal Herbert is clearly marked by a pair of old boundary stones. Once on Broad Walk, the course of the Brook is easy to follow as the ground falls away quite rapidly with one or two boundary markers helping point the way. The contours of the playing fields by the Samuel Montague Youth Centre show a clear course for the Brook as does a dip in Langbrook Road at the top Shirebrook Road, as well as a similar one in Bournebrook Road at the junction with Sladebrook Road. All the roads in the area close to the Brook are named after other places with ‘brook’ in their name. After skirting around the rear of houses behind Wendover Road, the Brook then crosses Rochester Way almost at the junction with Briset Road where there is a clear dip in the road and a obvious falling away of the land to the south west. 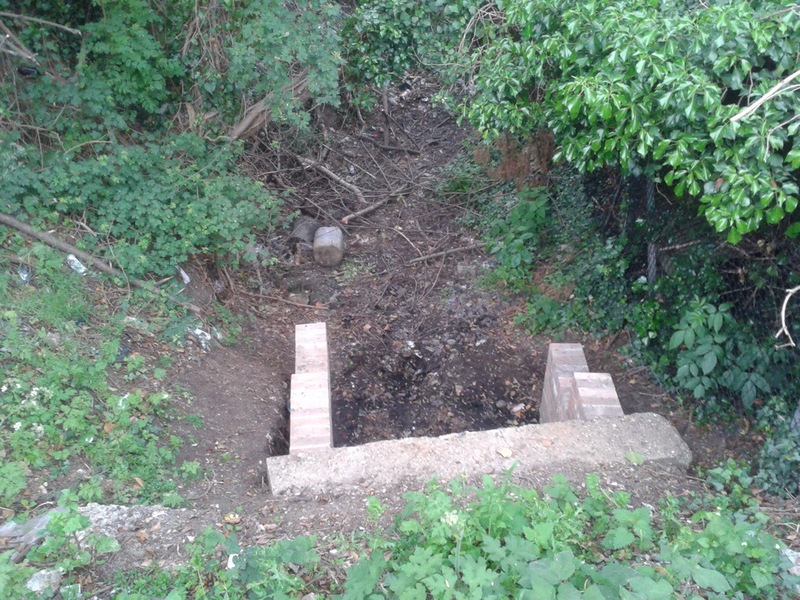 Before the area was developed there was a ford and a small pedestrian bridge, probably little more than a plank, at this point which was referred to in one of the more notorious local Victorian criminal cases, ‘The Eltham Murder’, more on that later in the year. The upstream pointing 35 metre contour line is crossed at the north-eastern end of Penford Gardens. While there is a wetland nature reserve on Birdbrook Road, this seems to be a remnant of the generally very wet and boggy area, with several springs, rather than having pools directly fed by the Brook. As it is at slightly higher level, the area would have originally drained into the Brook. There were suggestions that as part of the development of Kidbrooke Village there may be a partial restoring of the Brook going through the new development, but there are no signs as yet along Cambert Way. Across Kidbrooke Park Road are above ground signs of the Brook – a ditch that skirts along the side of the northern edge of John Roan School playing fields. When two of my children were younger, they played football on Saturday mornings there, and I have run alongside the last 120 metres of the course hundreds of times. I have seen a pair of foxes with several litters over the years on its banks, and lots of birdlife in the dense undergrowth but never more than a tiny trickle of water even in the wettest of periods – presumably its flow has been long since diverted elsewhere when the Ferrier was constructed. 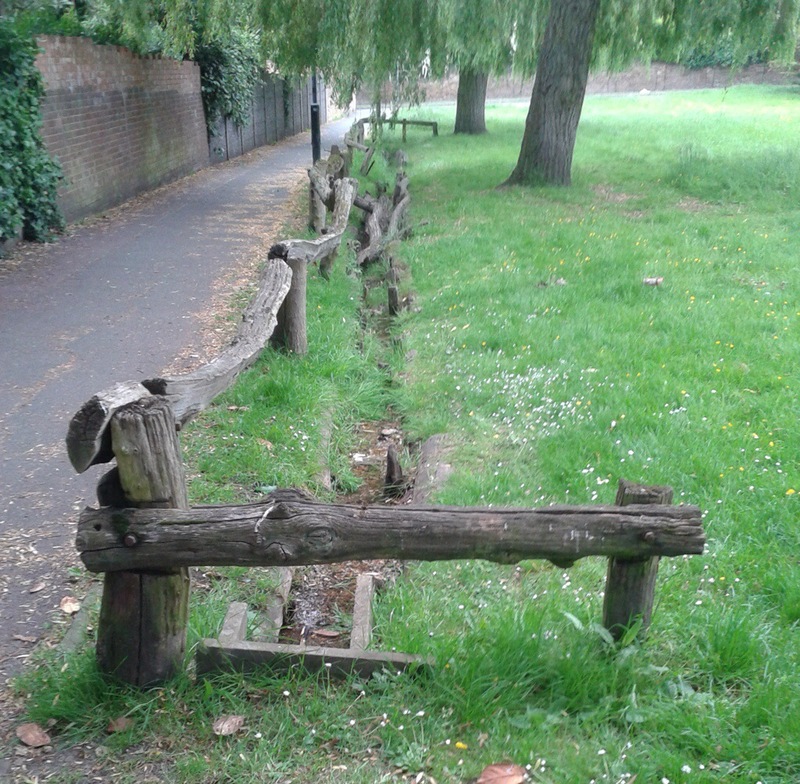 The picture of the ‘outflow’ from Kidbrooke Park Road, shows this only too well. The location of the final ‘confluence’ with the Quaggy is now full of a pleasant mixture of wetland plants, but no sign of a stream joining the Quaggy. The reason for the lack of water becomes obvious when looking at the Environment Agency flood map for the area which seems to indicate that the Brook was diverted into the Quaggy a few hundred metres earlier, presumably at the time that the Ferrier was built and the unseen confluence is now in Sutcliffe Park. Returning to the original course, on the opposite bank of the Quaggy, in long grass behind a football ‘cage’, there was a rather incongruous surprise in the long grass – a long forgotten 1903 Woolwich Boundary marker. 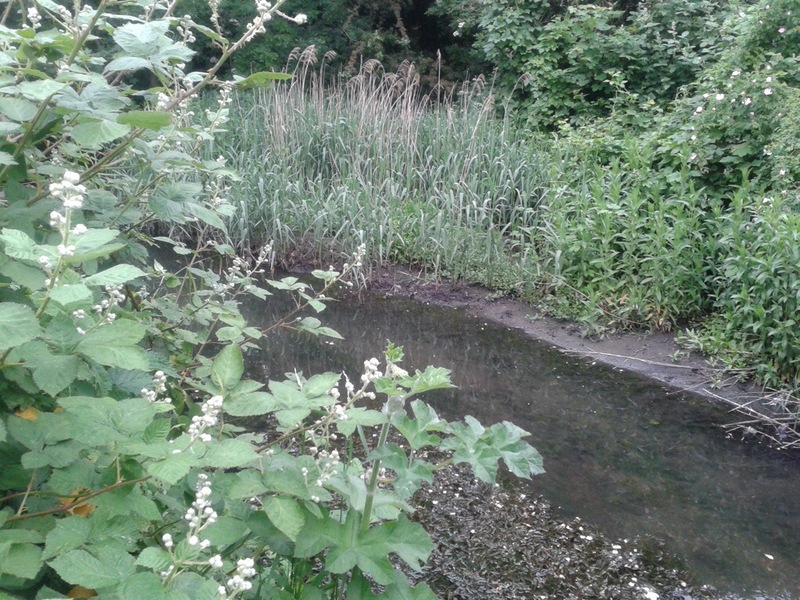 This entry was posted in Greenwich History, Rivers and tagged Eltham Common, Kidbrooke, Lower Kid Brook, Quaggy, RAF Kidbrooke on June 19, 2014 by Paul B.
Hi. Always enjoy your informative blogs. 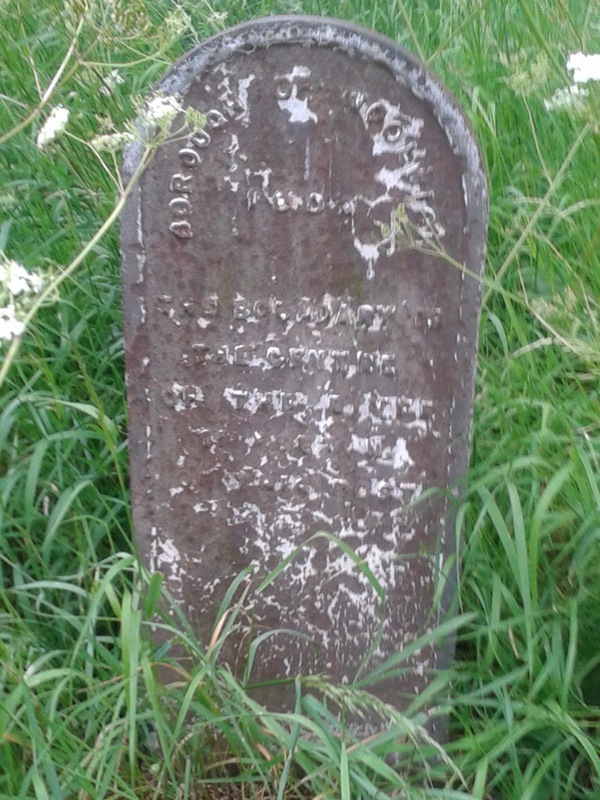 My interest is in boundary markers and can I just mention the one shown above isn’t (I think) a Greenwich marker but a Borough of Woolwich post (I think you can just make out the double Os). This must be to south or east of the Quaggy and Lower Kyd Brook junction but I’ve struggled to see where. (I’d really like to visit this one but can’t see how to get to it!). Thank you for correcting me – I am not sure why I wrote Greenwich rather than Woolwich as it is obviously the latter. The marker is more or less opposite where the Lower Kid Brook used to join the Quaggy. To get to it – go to the far side of the playing field, past the tennis courts and ‘football cage.’ At the far side of them there is a narrow strip of grass down towards the river with a gate – when my children played football there it was never locked and wasn’t a couple of years ago when I visited for the post. The ‘post’ is in long grass by the river – I just stumbled across it – despite being down there numerous times getting footballs lost in the river from wayward shots, I don’t recall having seen it before. It may have been moved slightly a couple of times – firstly when the Quaggy was channelised and secondly when the concrete was removed as part of the work to Sutcliffe Park so it may not be exactly on the boundary. I keep meaning to go back and take a better photo as the one in the post in a little out of focus. I assume you have seen the attractive Woolwich marker in the bridge on Weigall Road? Thanks for your kind comments and the correction. I’ve noted that one, yes thanks. I’m attempting to record all the surviving boundary marks in greater London and have surveyed about 1000 so far with just the Outer London part of what was formerly Kent to do. Taken six years with a year perhaps to go. If you are interested I can let you have a descriptive listing of marks in any postcodes or parishes or boroughs you might be interested in. Those in the Lee conservation area (my father lived there!) are very unusual in that they represent ecclesiastical parishes and not civil parish boundaries and this is the only place in Greater London I have come across such a thing. It has been interesting to observe how boundaries hug the traditional lines of old rivers even where their course has changed. It is a shame so many markers have been lost though. My estimate is that fewer than 5% remain and losses are still significant. Hence my interest in recording and promoting them! Oh, yes I would be really interested, it is right up my street! 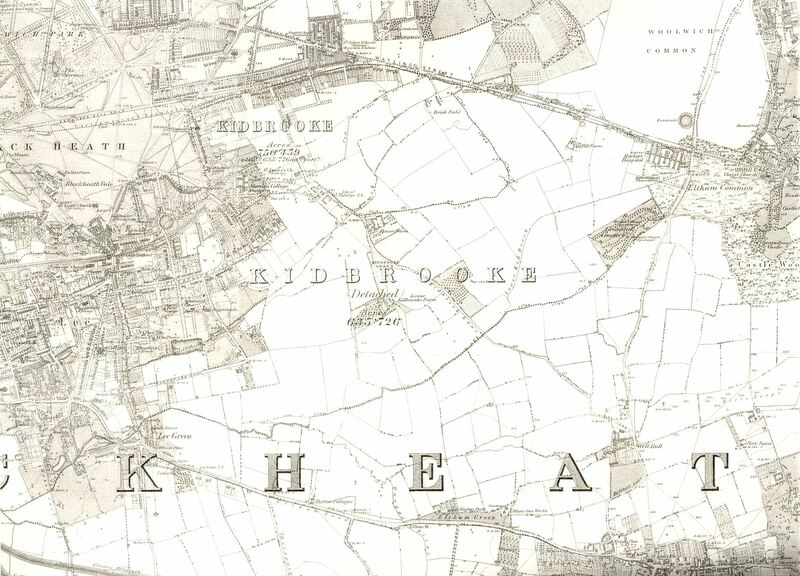 I have some vague plans for a series of posts beating the bounds of the local parishes looking for any physical remains of the boundaries amongst other things – my geographical interest probably only extends to Lewisham, Lee and Kidbrooke. I will e mail you as it is probably easier than doing it as comments to this post.